Soil provides a foundation for all other life. It determines which wild plants flourish, which animals survive, and which crops grow. That doesn’t change on a construction site. 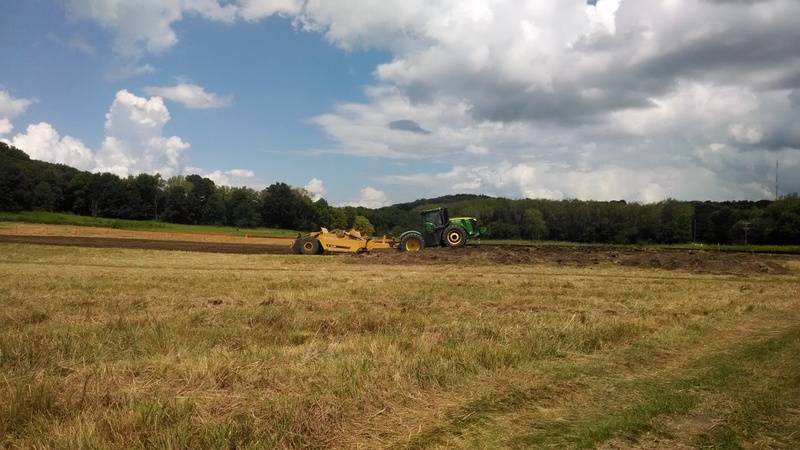 How the soils are treated before, during, and after construction have repercussions long after the backhoes pull out and planted saplings reach maturity. For the Amazing Space project, we implemented a variety of strategies to maintain healthy soils. The construction fence keeps machinery within the boundary of the project. Heavy equipment, dumpsters, and stockpiles of rock and supplies destroy the existing vegetation and compact the soil. Keeping that impact confined to a small area protects the surrounding forest and prairie. 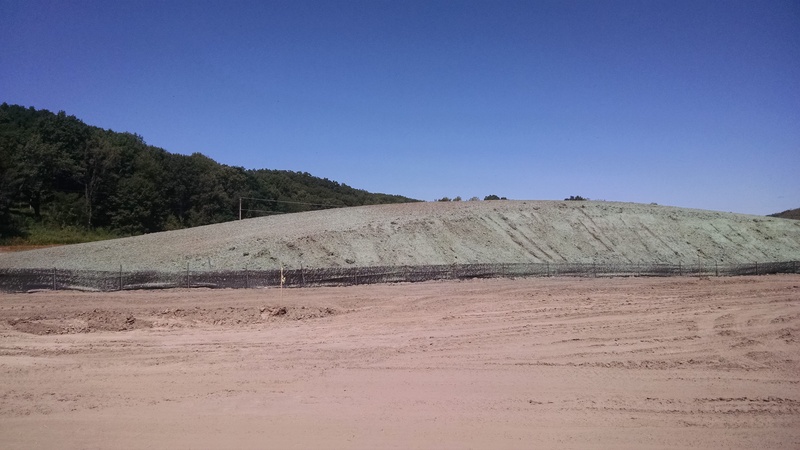 The topsoil, full of rich organic material, was scraped off the entire area and stockpiled. At the end of construction, this soil will be respread six inches thick over the area, creating a place for new plants to take root in healthy soil. The pile of soil was immediately planted with a cover crop, to protect it from erosion. As work finishes in different areas, those areas will also be planted with a stabilizing crop (a combination of oats, rye and wheat). 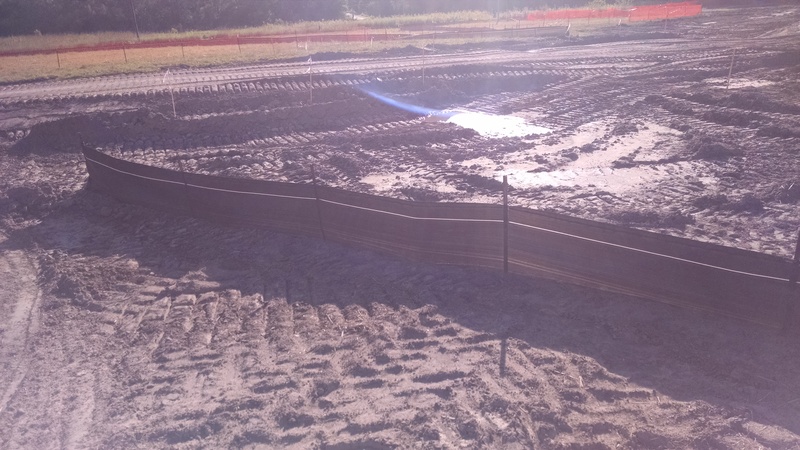 To prevent heavy rains from washing silt and sediment out of the project site and into the neighboring prairies, ditches and creeks, erosion socks and silt fences were established. They are monitored weekly and after rains for any problems that may occur. 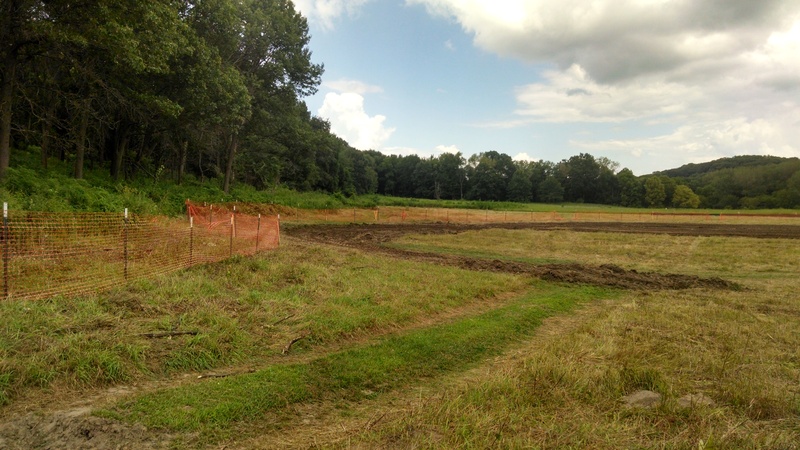 These basic steps will ensure the area around the project remain healthy, and that the soils on the site will support everything from the edible forest to the pollinator garden.